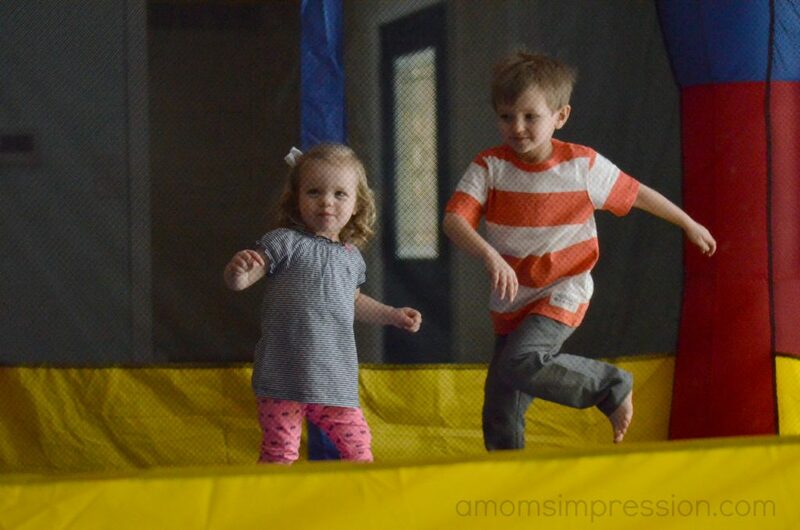 A huge thank you to Blast Zone for sending us a Magic Castle Bounce House for review. All opinions are 100% mine! This winter seemed like it was never going to end. In fact, we still have only had 2 nice days where we could get outside and play as a family. The long winter made for some boredom and creative thinking to keep the kids occupied and active. Our Blast Zone Magic Castle bounce house arrived just in time! It is still pretty cold and wet here in Indianapolis so we decided to set up our Magic Castle inside our living room. I was very happy to see that it fit perfectly! 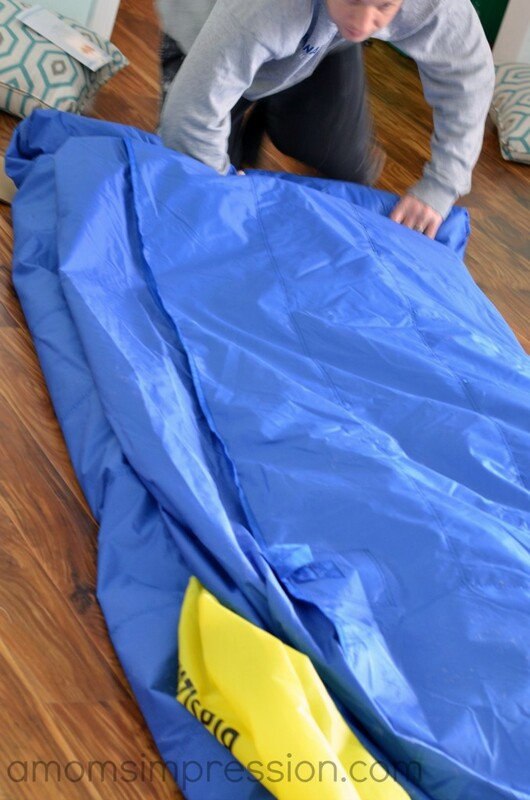 I love the smaller size as you can inflate inside or outside and the kids will love it either way. The smaller size was perfect and we didn’t need sandbags to keep it still, but I only have 2 small children jumping on it, I could see how you might want to get them if your kids are a little older. I was very impressed on the durability of the bouncer. I had a friend who purchased one from a different brand a few years back and it tore on the very first use. I can see the superior quality in this product. I don’t think I will need the included patches, but I am happy to have them nonetheless. I am looking forward to setting it up outside in a couple weeks for my son’s birthday party, the stakes are included to tie down outside. I am confident that the kids are going to love playing with just as much outdoors as they do indoors. Setup was a breeze. It inflates in just a few seconds. Packing it away couldn’t be easier. I was a little skeptical that it would fit in the bag provided but my husband and I folded it up and it fit without any issues. The size is great too. My husband was a little hesitant about getting a bounce house because of the storage issue, but when he saw the compact size he asked why we didn’t get one earlier! Overall we are extremely satisfied and are looking at purchasing another Blast Zone bouncer soon. The inflatable water parks look amazing for summertime! 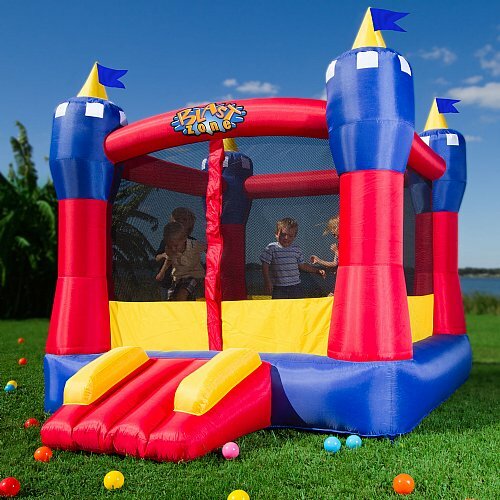 5 lucky winners will win a Magic Castle Bounce House of their very own! I’d love to win one for my son’s three yr old birthday party this summer. I’d love to have the Great White Wild Inflatable Slide. I would love to win this for my daughter and her neighboring friends to join her. Rainforest rapids combo and so many more looks like fun for my daughter. It would be perfect for my Grand-daughter. Hydro Rush Water Park would be a lot of fun! I want to win because my boys would love this, and would be nice to have for birthday parties! I’d also love the hydro rush! I would give this to my sister’s family. Her kids are younger than mine, plus she has a bigger house! I would give this to my kids. We are buying a new house with a huge yard they would love this. 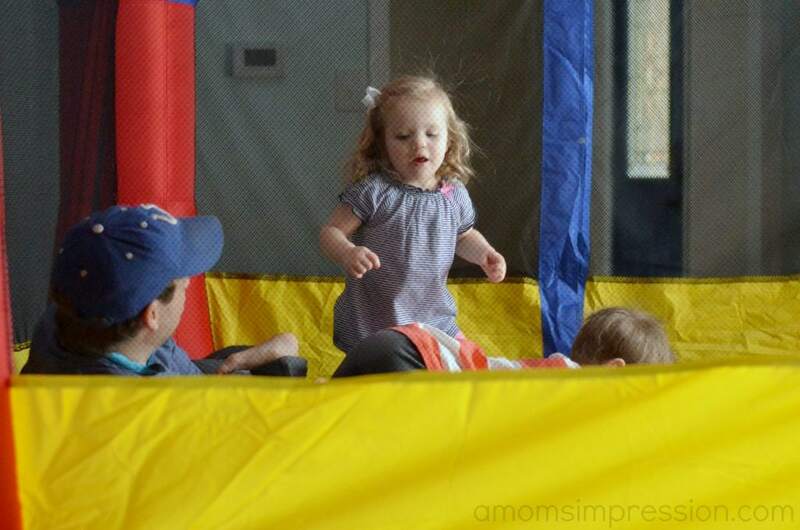 Bounce castle, please wear out my wild 2 year-old so I can get a few minutes of quiet at nap time! Oh I would love to win for our family! Carter would have so much fun with it and would help him get lots of exercise! He loves to bounce! 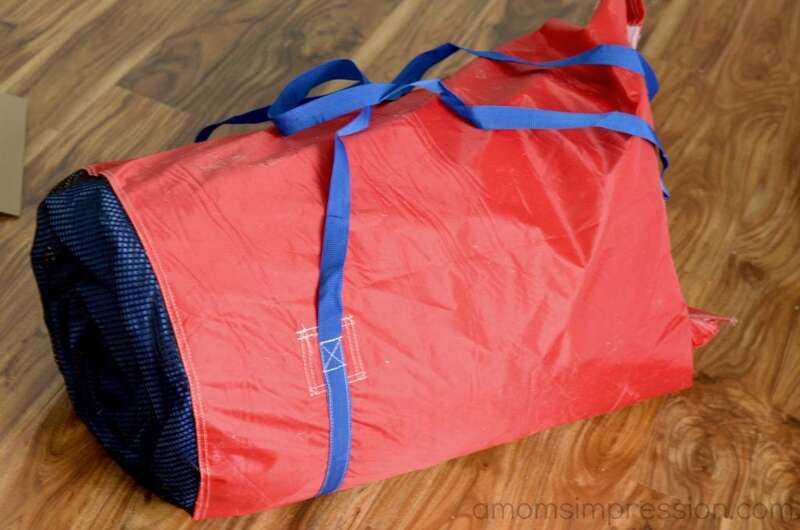 Would be perfect to put in our basement in the winter too! Oh I also really love the Tropical Splash Compact Backyard Water Slide! So fun for summer! I’d love to win because I have 3 boys who have some serious energy they would love to bounce out, and that’s who it would be for. if i won, i would use this during the summer for all the kids on the block to have fun, and i would use it for family bday parties. I’d love to win this to entertain the kids! It would be for them! I would love to win this for my kids. It would be a great thing to pull out for parties or for neighborhood bbq’s. 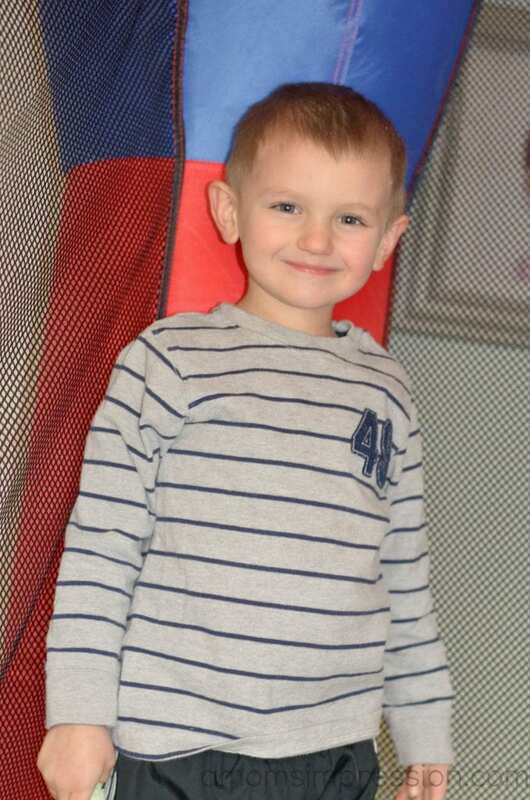 I would love to win this for my son – he would have such an amazing time bouncing this summer!